Enjoy our Pictures and Videos. 60 Teams, a Wow Event!! This presentation has been created by Jackie Taggart to help new festival committees have an over view of what is required to create a successful event. 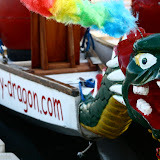 Power Point Presentation on starting a dragon boat festival. Click link to download to your computer. Click open, you may need to close a pop up window saying starting a Microsoft Office Power Point and then you should be able to click through the presentation.